Flammable Liquid Disposal | Combustible Liquid Disposal | ADCO Services, Inc.
ADCO Services offers disposal services in The United States for flammable liquids as well as combustible liquids. When disposing of either a flammable liquid or a combustible liquid it is important to know that neither flammables or combustibles are allowed to poured down any drain under any circumstance. It is also not advised that a waste generator tries to burn off these types of liquids as it is considered unsafe and could result in personal injury or an unwanted fire not to mention may be considered an illegal treatment of waste. Let our fully trained staff take the uncertainty out of disposing of your Class 3 liquids and dispose of them in a proper manner in accordance with the U.S.E.P.A., U.S.D.O.T., and OSHA. 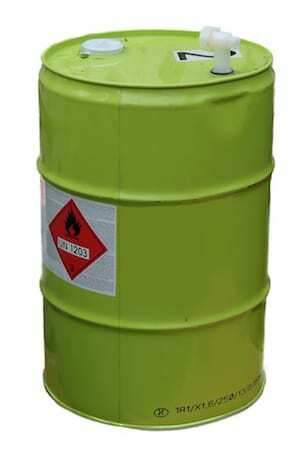 ADCO can dispose of flammable liquids and combustible liquids contained in containers as small as glass beakers and jugs, to 5-gallon buckets, 55-gallon drums, totes, and even can offer pump-out service of large tanks containing flammable liquids. Flammable liquids are liquids considered to have a flashpoint of less than 140 degrees Fahrenheit or less than 60 degrees Celsius. 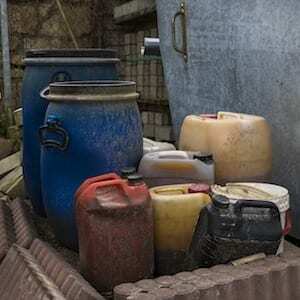 Flammable liquids themselves are not what actually burns. The vapors that a flammable liquid gives off when combined with air is what will actually ignite and vapors from a flammable liquid may travel a great distance and collect in pits, valleys, or confined spaces when adequate ventilation is not available allowing these vapors to become condensed and easily ignite if an ignition source is available and travel back to the liquid which is the source. 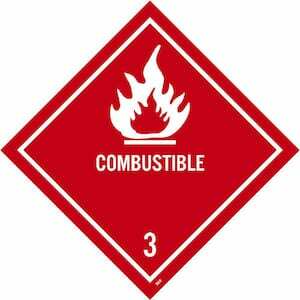 Flammable liquids can be ignited easily and will burn very quickly. Some flammable liquids will evaporate quickly such as Gasoline and will actually evaporate quicker as temperatures rise also rendering the liquid more volatile, however due to the danger of the vapors igniting it is not recommended any generator attempts to evaporate a flammable liquid to eliminate or reduce it. Combustible liquids are liquids that have flash points between 141 degrees Fahrenheit and below 200 degrees Fahrenheit. Combustible liquids still must be handled with great care as their vapors also can ignite fairly easily when exposed to an ignition source and can also travel great distances from their originating source. Numerous types of paints, stains, glues, adhesives, and even household cleaning compounds will fall into this category of being a combustible liquid. 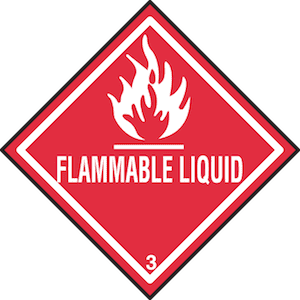 When storing and transporting any type of flammable or combustible liquid, you may only use an approved container meant for that type of liquid. Steel drums, Gasoline cans, and for paint type waste, the paint cans themselves are the storage containers. You may only store up to 60-gallons of flammable liquids in any flammable storage cabinet (Marked “Flammable Keep Away From Flame”) at a time and you may only place up to 3 storage cabinets in any one room at the same time. It is recommended that flammable cabinets be placed in a storage room that has been constructed to resist fire. Flammable liquids and combustible liquids are strictly regulated and ADCO’s staff is fully trained in the proper handling, packaging requirements, transportation requirements, and disposal of Class 3 flammable liquids. Contact us today and find out why thousands of flammable waste generators have called on ADCO to assist them with the proper disposal of their flammable liquids. If you have any questions regarding our flammable and combustible liquid disposal services or if you would like to discuss your business needs, we invite you to contact us at 877-254-2326 or 708-429-1660 today.